Purchase this product now and earn 2,300 Reward Points! Milk thistle is a common herb native to the Mediterranean and has been used for over 2000 years for nutritional support of liver function. 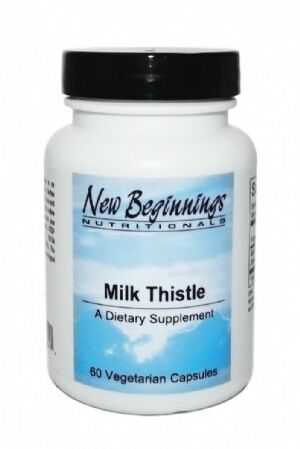 The milk thistle flower is rich in three flavonolignins: silybin, silydianin and silychristin. When combined, they form silymarin, the bioflavonoid complex responsible for it’s powerful protective and regenerative effects on the liver. 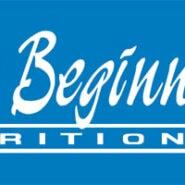 New Beginnings Nutritionals Milk Thistle contains 80% silymarin making it a strong and effective supplement for liver support. 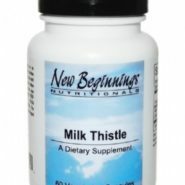 Milk thistle helps protect the liver from damaging pesticides, heavy metals, and liver-damaging medications by nourishing and strengthening liver cells. Silymarin in milk thistle acts as an antioxidant, protecting the liver from free-radical damage and stimulates glutathione production.